Discussion in 'General Discussion' started by Krayt, Nov 3, 2017. 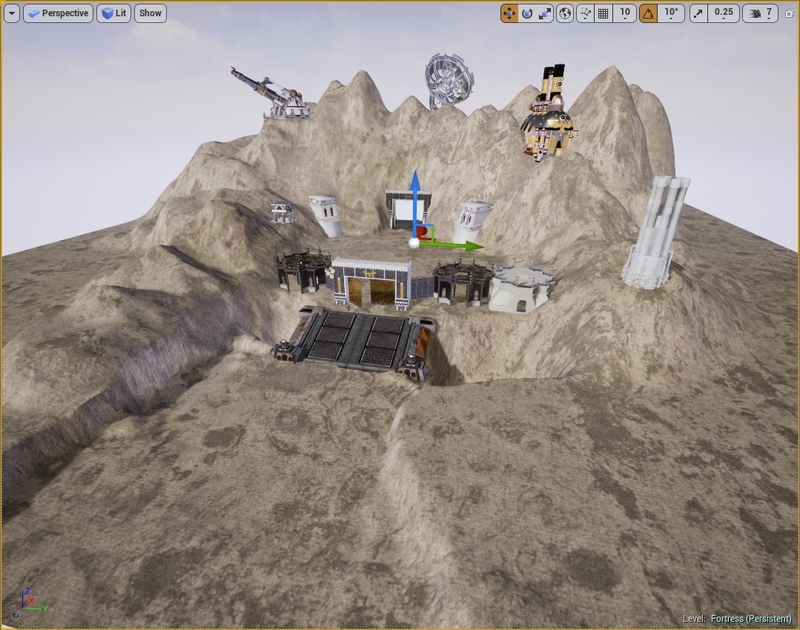 Hello fellow brethrens ,i was borred today so i began working on a fortress type map. Its a fortress inside a mountain (like in Space wolf books). I know a lot of people wanted this kind of map and i decided to make it now because i can't wait more for workshop and i need to do something now ! -trenches before the bridge ? All critisism is welcome ! CuCulainn, Bugz, Sumshine and 7 others like this. I may be jumping to very strong extents, but what about trying to link two existing maps? like for instance Olipsis and Blackbolt? Great job tho! Keep it up!!! All I want is large chamber areas connected via small passages. Think the inner sanctum of Fort Harkus that's entered through PVE corridors. Just a different kind of push other then 3 huge holes in the walls. Safreadis, LOBOTRONUS and Jimmy_Neutron like this. Exactly my thoughts, They would have to big enough to accommodate for the the current play styles. The hallways should be wide enough that if you stand on one side of it and a grenade is thrown on the other side the distance should be far enough that it doesn't kill you but hurts you. To avoid those corridor battles that'll just turn into an explosion frenzy. It should maintain at least one larger entrance to accommodate the tactics and plays used by clans/pubs, it's what they feel comfortable with and wont make the map to jarring a transition. Also what program are you using? did you grab those assets just out of the game files? My first thing that came to mind when I saw this. Mega Man and 40k are in the same universe confirmed. anyway what classification planet is Arkhona? There "shouldn't" be any kind of Eldar structures, safe perhaps for a few webway gates, nor should there be too many orks structures since they just came on the planet. Correct, this is an Imperial world. What if.......corridor maps, ok that sounds nightmarish, but it’d be an interesting twist, also test the ability of people to aim past friendly. As to actual contribution, still would love to see burnt down, husks of hab blocks. They could work here as well. That said, would prefer them in a more level area and larger area. So I’ll have to opt for large structure, take the building in Blackbolt at Charlie, I think, closest to defense, and make it larger and more intricate, not necessarily harkon or whatever size, but large enough to fit a gaggle.